Before I begin, I have a little fatherly advice about running safety. My typical morning run starts around 6:00 a.m., when it is still quite dark outside. 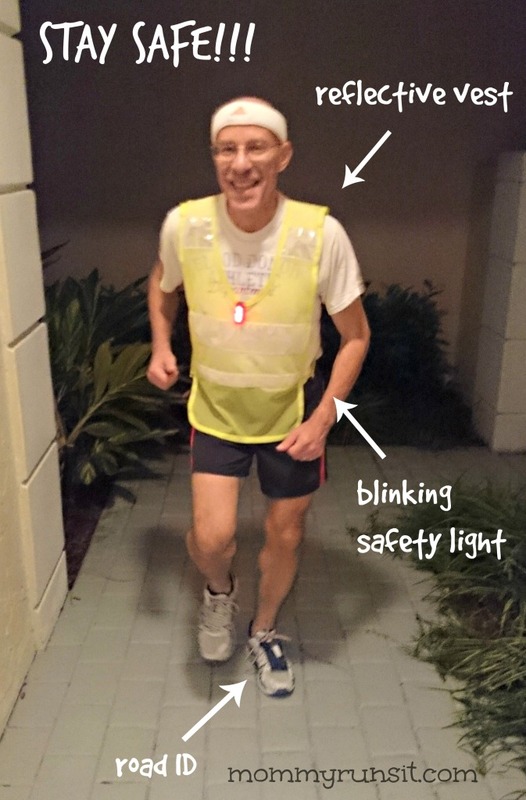 I follow my own advice running in the dark – I wear a white sweatband and a white tee shirt with a fluorescent green reflective vest over the shirt. I recently added a flashing red light that I clip to the front of the vest. My normal course has a very limited amount of sidewalk, so most of my run is in the street. On a recent run I came around a corner and approaching me was an SUV with its bright headlights on. Of course I was immediately blinded by the lights. I stopped since I was not sure where the curb was and did not want to fall and possibly hurt myself (been there, done that). The driver turned off the brights as soon as he saw me. As he drove by he remarked that I looked like a pumpkin with the flashing red light. My response: the flashing light did its job – it made sure that the driver saw me. I will let you draw your own conclusions/lessons. Now to today’s topic. 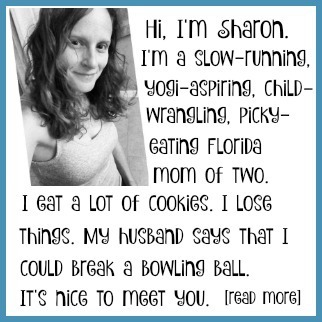 I have been pretty lucky (knock on wood) during my nearly 50 years of running. 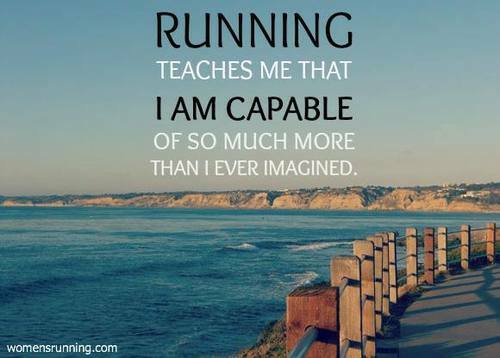 There have been only a few times when an injury or other medical condition forced me to stop running. My high school was a seven story rectangular building. The hallways on each floor formed a rectangle. During the indoor track season we used the third floor as our track. Every indoor season I developed blisters on the outer portions of each foot (under the little toe). The blisters were bad enough for me to make several visits to the podiatrist each season. He would treat them and tell me to stop running until they healed. In the beginning I did take time off, but after the second or third time I decided to bandage them up and run through the pain. My next major injury was in my senior year of college. During practice before the cross-country season I badly sprained my ankle. I was the team captain and the best runner on a poor team (we did not win a single meet all season). I had the trainer tape up my ankle and I ran on it. It never did heal until the season ended and I took some time to rest it. In fact, part way through the season I re-sprained it and that further set back the healing process. Do you think that there is a pattern starting to emerge? Fast forward to 2010. I developed a hernia in my groin that required surgery to repair. My surgeon told me that I needed to wait eight weeks after my surgery before I could begin running. In addition, I could not do any other type of physical activity that I might want to perform to try to maintain some level of physical fitness – walking up stairs, weight lifting, etc. Every time I saw someone running in the street I was envious and wished it was me. However, I did not want to risk damaging the surgery site and having to undergo a second surgery. So this time I was a good patient and waited the required eight weeks before starting to run again. 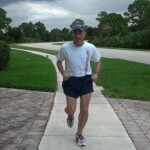 When I started running again it took me quite a while to get back to the running condition I was in before the surgery. I have always done my own form of cross-training. I am one of those strange people who like doing crunches and push-ups. I also do several other exercises that tend to put some stress on the back. I also lift weights. All of this is done in my home, usually in the morning before I get ready to go to work. I started noticing some pain in my lower back, but just ignored it. In early 2011, suddenly one day at work the pain in my back started to radiate down my right leg and I could not sit at my desk. I called my wife and asked her to call the doctor and try to get me an appointment that day! I then left work. The next time I returned to work was several months later and I was in a transport chair, which is similar to a wheel chair, except it is designed to be pushed and not operated by the occupant of the chair. Over the next few months I tried various types of medicines (muscle relaxants, pain pills), chiropractic treatment, pain medication shots, and acupuncture. An MRI showed that I had a herniated disc in my spine that was pressing on a nerve, resulting in the pain in my back and down my leg. While I got some relief from the pain medicine shots, they were only masking the symptoms and not correcting the problem. According the surgeon I could potentially suffer permanent damage to the nerves in my right leg. I had the surgery and once again there was an eight week recovery period before I could resume running. The restrictions on my activities during my recovery period were even more severe than during my recovery from the hernia surgery. The total time from the day I first left work to go to the doctor until I had recovered from the surgery was over 6 months. I still have some periodic, residual pain in my leg from the nerve damage and I have lost my knee reflex (that is where your leg kicks out when the doctor hits a special spot on your knee with his hammer). For the first 2 to 3 months I was in too much pain to even think about running. I did not go out of the house except to go to the doctor or some other medical professional. I worked from home sitting in a recliner in our living room. I also ate most of my meals in that recliner. After the pain shots started to work I became more mobile and was able to go out of the house and even return to work. At that point the feelings of envy began again. I kept wishing that I was the runner I just saw. Prior to the start of my running layoff my typical training run was around 2.5 miles. When I was finally allowed to start running, my first runs where less than one mile. I felt very frustrated at my physical condition, but I knew that I should not push myself (lesson learned from my youth?). I eventually made a full recovery (though I do have some residual pain in my leg) and am now back to running my normal distances and times. From time to time I feel pain in my back, sometimes in the same area and other times on the other side of my back. I try to remember that pain is the body’s way of telling you to stop doing what you are doing if you want to avoid adverse consequences. About six weeks ago, at the end of a run my right Achilles tendon felt quite sore. It hurt when I walked and was also sore to the touch. I did some basic research on the internet and what I had sounded like tendonitis of my Achilles tendon. The article recommended six to eight weeks of rest. So, I took off for two weeks (a return to my youthful way of thinking) and treated it with ice packs. I also did some stretching of the tendon (something that was missing from my pre-injury routine). At the end of two weeks I started running again. I stretched before and after the run. I also added stretching to my non-run day routine. 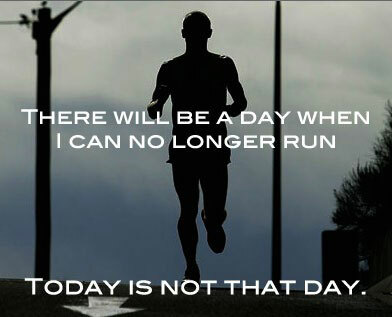 My normal routine is to run every other day. Right now I occasionally take an extra day of rest/recovery. Six weeks later the tendon is still a little sore, but getting better. 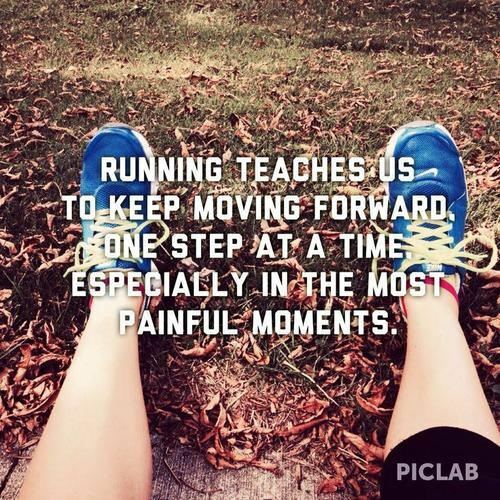 There is no pain while running, just afterwards. Perhaps I have not really learned how to take it easy and rest. Tell the truth. 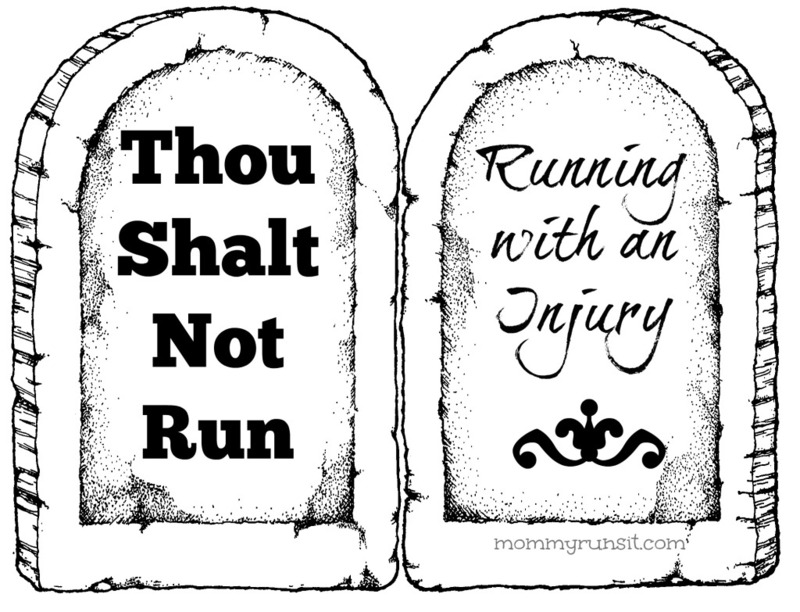 Do you rest when you’re injured, or do you keep running? he proud father of Mommy Runs It’s owner Sharon Wilhelm. 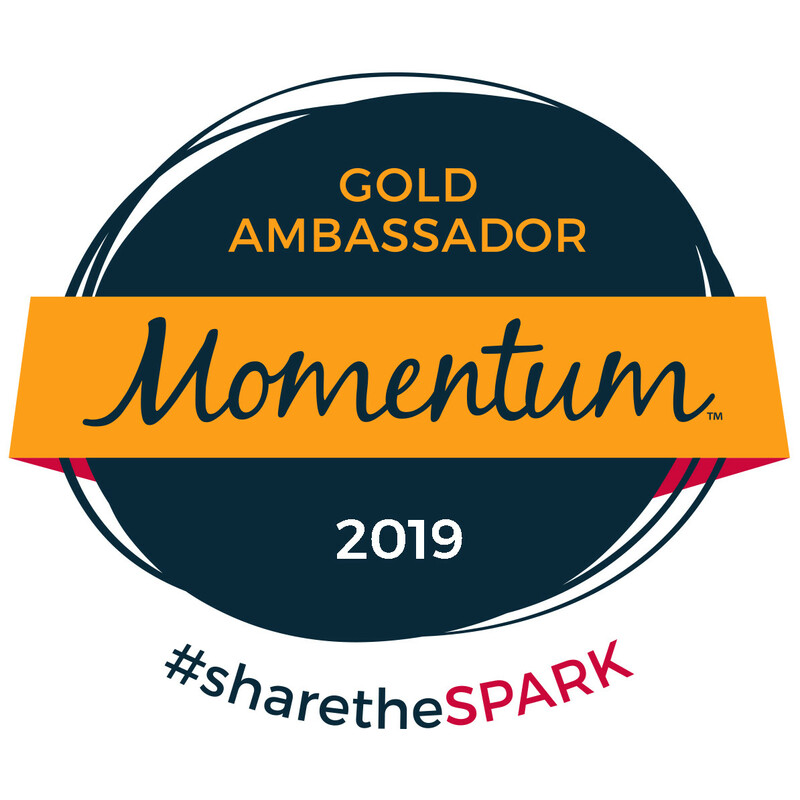 He has degrees in Nuclear and Mechanical Engineering and is a licensed Professional Engineer in Florida and is also certified as a Project Management Professional. He started running as a sophomore in high school (Oct 1964), and never stopped. In high school and college he was a middle of the pack runner. He hit his peak as a runner in the first 10 years after graduating college. Though never achieving a champion performance, he ran some decent times (5K – 16:58, 5 mi – 27:07, 6 mi – 33:00, 10K – 34:58, 13.1 mi – 1:36, 20 mi – 2:20:51, marathon – 3:37:48). Currently he runs primarily to maintain a level of physical fitness. He hopes that when he retires in a few years he will be able to increase his training and return to competitive running. His secret (not so secret any more) ambition is to be a high school track coach; not to produce champion runners, but to instill the love of running in these young people and pass on his experience. Most of the time I try to pretend there’s nothing wrong…and then I end up with bigger and more serious pains. As much as I’d like to say I’ve learned my lesson over the years, I really haven’t. My runner envy gets the best of me every time! There was a time when I would push it even when I knew deep down inside I was injured. Looking back that sounds so crazy! Never again. 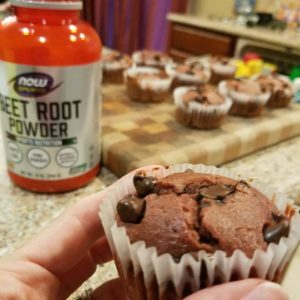 Prevention is a runner’s best friend even if that means not running.